This maze has recently been viewed by millions – on TV that is when it was used to promote Married at First Sight. In case you missed the season promo, here it is. Kids and grown-ups alike will love Bago Maze. The maze is now into its 14th year of growth and is maintained at 2.3 metres high. 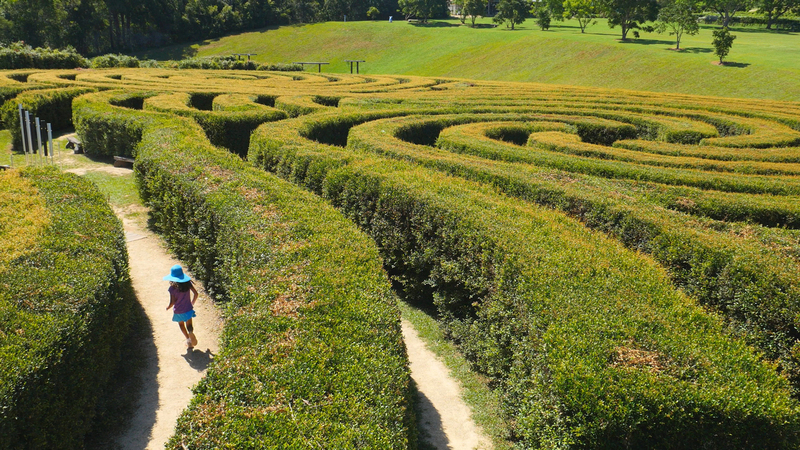 It’s the largest hedge maze in the state with the opportunity to explore 2kms of trails. Bago Maze at Bago Vineyards is in the town of Wauchope, a short drive west of Port Macquarie. Take the opportunity to wind down with a glass of locally made wine or sweet treat from the resident artisan chocolatier. 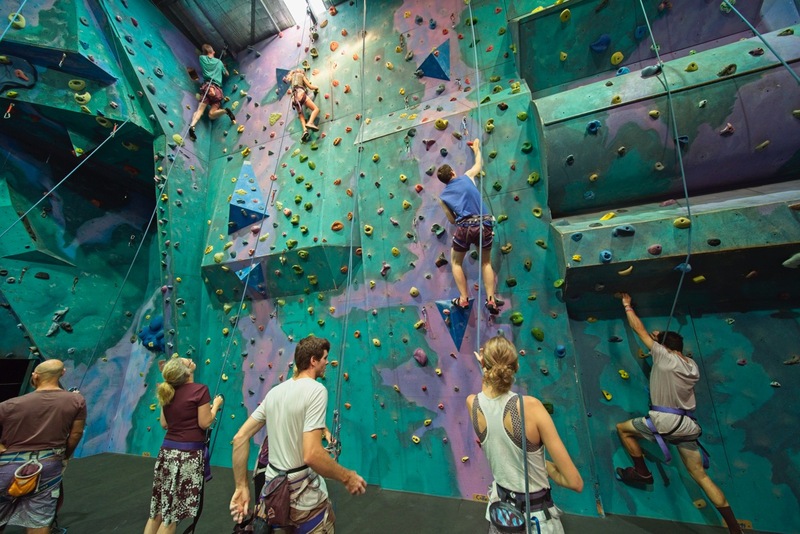 Why not try something different these holidays with indoor rock climbing? Centre of Gravity is in the industrial area of town, on Jindalee Road and provides the opportunity to rock climb in air-conditioned comfort. The centre offers climbs for ages 3 and up and kids can work their way through caving sequences and a ropes course. All fitness and skill levels are catered to. Not one for heights or climbing? No problem. You can find your thrills at the laser tag arena instead. Stretching from the CBD to Town Beach, this popular walkway is a Port Macquarie icon where you can spend hours perusing the colourful and quirky artworks by locals and visitors alike. At the end of the breakwall, grab a coffee from the nearby kiosk and enjoy the views over Town Beach. One of the largest remaining coastal rainforest reserves in New South Wales, the beautifully preserved Sea Acres is a treat for the senses. Begin at the Sea Acres Rainforest Centre to learn about local Aboriginal culture and the rainforest environment. Pick up a brochure and head to the 1.3km boardwalk to spot rare rainforest birds, goannas and, if you’re lucky, a slithering diamond python (guided tours are also an option), before ending your visit with lunch under the canopy at the Rainforest Café. 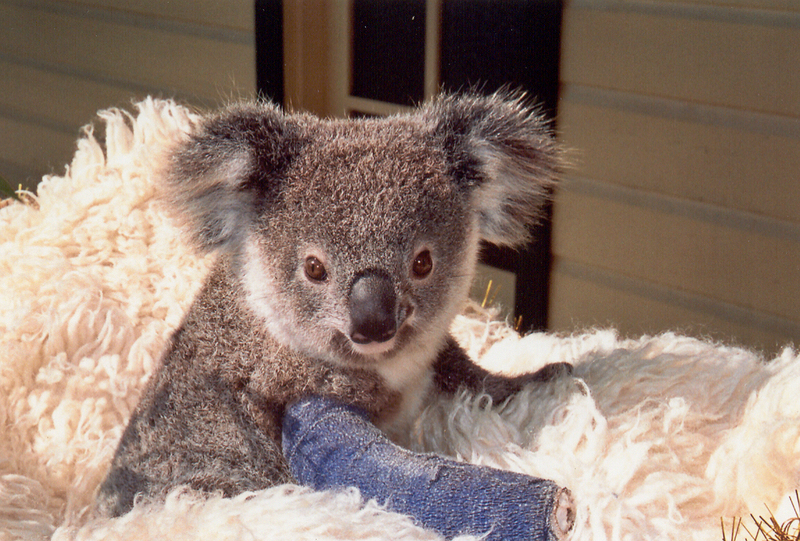 The Port Macquarie Koala Hospital is run by a team of passionate volunteers who care for over 250 injured or ill koalas every year. Visit the hospital at 3pm to join a tour, meet the koalas and hear the fascinating stories behind their rescue and rehabilitation. 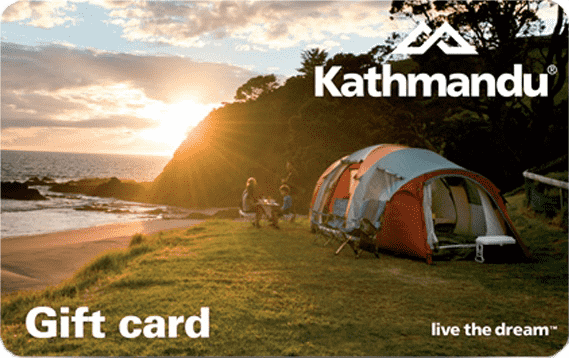 If you’re feeling generous, pick a koala to ‘adopt’ and you’ll receive a certificate and information pack, or choose a furry souvenir from the Koala Shop before you leave. 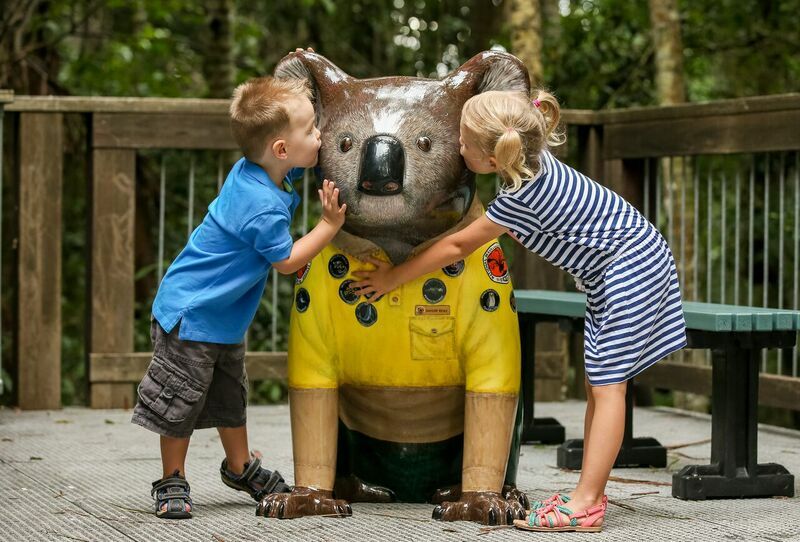 The hospital is also a great place to begin the Hello Koala Sculpture Trail. 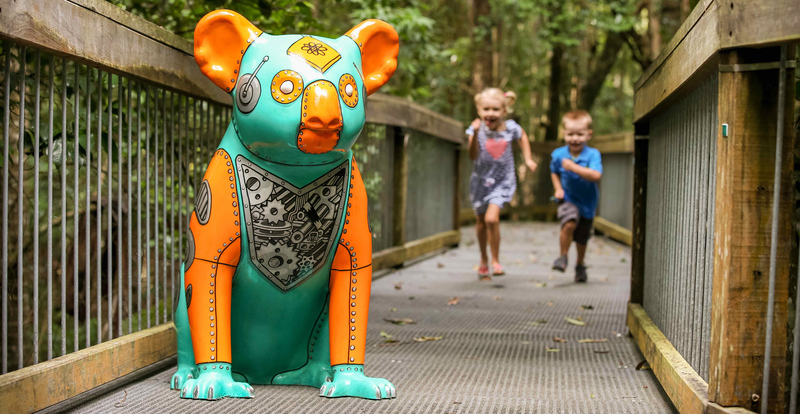 Download a map from the Hello Koalas website to find 62 koala sculptures painted by local artists and placed around the Port Macquarie Hastings region. Kids can enjoy Port Central’s holiday workshops (held on the food terrace) with the chance to try weaving, crafting with clay and lots more thanks to The Nature School. Keen for Easter craft? Be sure to come along to the holiday workshop. Next door at the Glasshouse, consider the Glasshouse Sprouts art workshops that are held for children aged 4-6 during school holidays. Port Cruise Adventures has a range of water-based activities for adrenalin junkies and those who want to kick back and relax. Choose from a laid-back river cruise (where you’re sure to spot a dolphin or two) or jump on a jet-ski and let loose. For something different, Chinese junk cruises leave regularly from the Town Green. 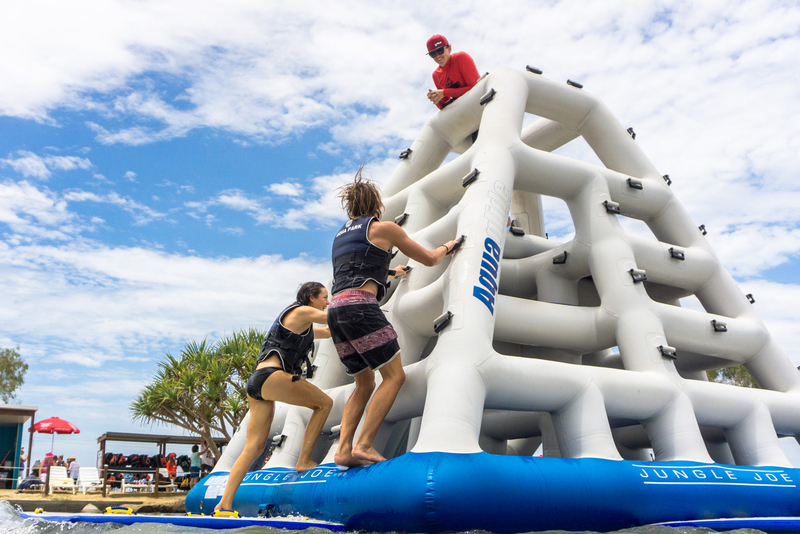 Release your inner child at the Stoney Aqua Park, a supersized water adventure land complete with floating trampolines, obstacles, slides, ladders and swings. Situated on a freshwater manmade lake ten minutes north of Port Macquarie, the park is manned by a team of lifeguards and is safe for kids aged 3 and upwards (children under 6 require parental supervision). Built along a treacherous coast that saw many a shipwreck, Tacking Point Lighthouse was built in 1879, making it one of the oldest in Australia, and well-worth seeing. While you’re there, spend some time a Lighthouse Beach – one of the prettiest stretches of sand in Port Macquarie. Lighthouse Beach is also home to camel man Ken and his Camel Safaris. While many of Port’s attractions revolve around the great outdoors, Planet X provides a wonderful rainy-day option. Located just off Lake Road, less than 10 minutes from the centre of town, Planet X includes a skating rink for roller skaters and bladers. Lessons and fitness classes are available as is recreational skating. There’s also laser skirmish and a giant play area with jumping castles and slides for the little ones. 10 minutes from the heart of Port, you’ll find Billabong Zoo. Home to 200 different animals, including lions, cheetahs and penguins, the Billabong Zoo lives up to its award-winning reputation. 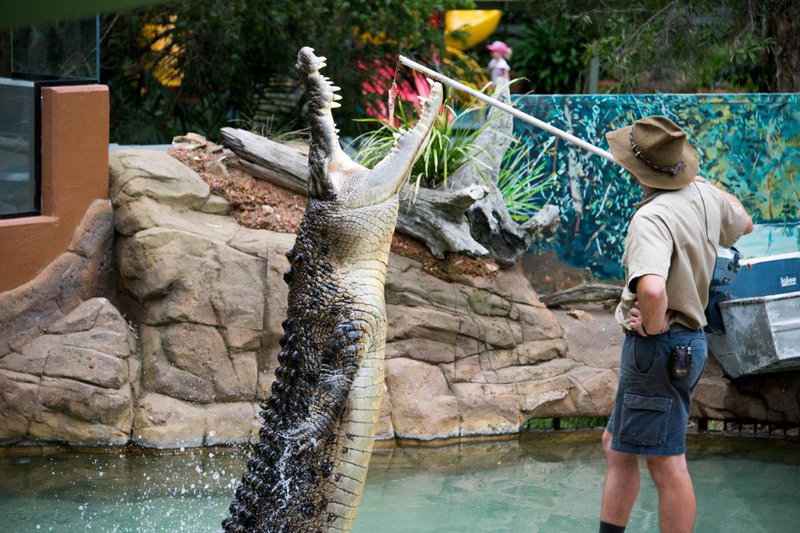 Wander the park at your leisure or join daily feeding presentations by experienced guides to gain a deeper insight into your favourite animal – watching the huge resident crocodile, Shrek, being fed his lunch is sure to be a highlight! Located 30-minutes from Port in Dooragan National Park, North Brother Mountain is a must for bushwalkers. The challenging three-kilometre, one-way summit trail winds through towering forest to the top of the mountain where it ends with an incredible view. Don’t feel like sweating it out? It’s an easy drive up the mountain, where you’ll find a short rainforest walking loop that is perfect for kids of all ages.